A rare breed of bats invades Middleburg, Ind. (or have they? ), that horrible hymn still rings from the belfry (but why? 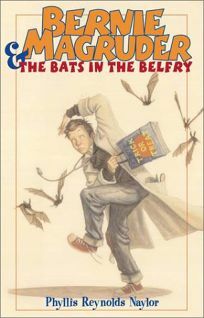 ), and Bernie and his friends are determined to figure out why the town's gone batty in Phyllis Reynolds Naylor's Bernie Magruder & the Bats in the Belfry, a follow-up to Bernie Magruder & the Case of the Big Stink.